Arnaudville ~ Dr. Mary Ann Richter Richard, age 73, wife of Dr. Earl Richard, passed away peacefully in her sleep, Saturday September 1, 2018 at Our Lady of Prompt Succor in Opelousas. Funeral services will be held Monday, September 3, 2018 at a 3:30 p.m. Prayer Service at Prompt Succor Nursing Home Chapel. Visitation will be held from 1:00 p.m. until service time on Monday. Funeral services will be held Tuesday, September 4, 2018 at a 2:30 p.m. Liturgy of the Word in Evangeline Memorial Gardens Chapel in Carencro. Visitation will be held from 10:00 a.m. until service time on Tuesday. Funeral services will be held Wednesday September 5, 2018 at a 3:00 p.m. Mass of Christian Burial at Greenwood Funeral Home Chapel (5200 Canal Blvd, New Orleans, LA 70124). Visitation will be held from 10:00 a.m. until time of service on Wednesday. Interment will be in Greenwood Cemetery. A native of New Orleans, Mary Ann attended elementary school at St. James Major, High School at St. Mary Dominican and college at the University of New Orleans where she graduated with a B.S. in Medical Technology in 1966. She was immediately accepted into medical school at Louisiana State University. After obtaining her M.D. 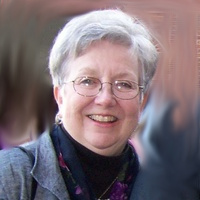 in 1970, undergoing several residences and passing her boards in internal medicine and cardiology at LSU, she continued her medical career at Hotel Dieu in downtown New Orleans and then at Methodist Hospital, first as head of the department of Cardiology and then in private practice on the Methodist Medical Campus in East New Orleans. She retired after a long medical career at the time of memorable Hurricane Katrina (2005), and moved to Acadiana (Arnaudville/Lafayette) with her family where she continued to do consulting work until recently. After surviving a bout with colon cancer, she was diagnosed a decade later (2016) with multiple myeloma. Following treatment at Berton Riehl in Lafayette, then MD Anderson in Houston, and most recently the Cancer Center at Lourdes in Lafayette, Mary Ann lost her battle with the disease, and its multiple, nefarious side effects during her stay at Our Lady of Prompt Succor and Louisiana Hospice of Opelousas, where she died September 1, 2018. Survivors include her husband of 33 years, Dr. Earl Richard, and her three children: two daughters, from New Orleans, Elizabeth Richard (and her children: Isabella and Nadia) and Marie-Anne Ricciardo (and husband Daniel and four children: Christian, Michael, Jasmine, Aliza); and one son, Joseph Earl Richard of Lafayette. She is preceded in death by her father, William Richter and mother, Shirley McMahon Richter.